A new beginning for pleasure for women. A brand created for women by women. Self pleasure items. 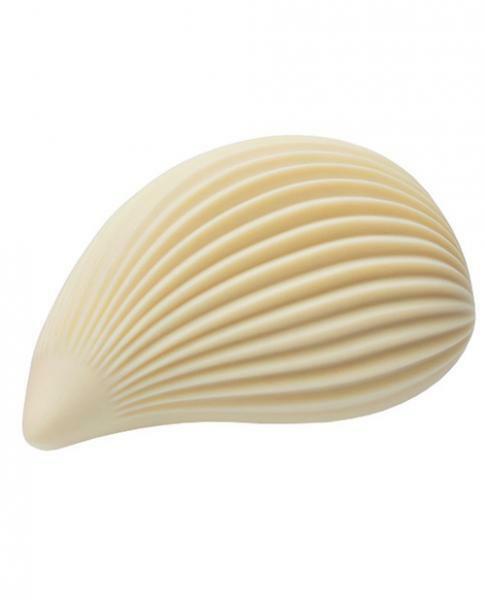 The Iroha Plus features more defined edges, so you can enjoy an accentuated, stronger stimulation. Now covered with silicone that is even softer and gentler on the skin, the Iroha Plus features Irohas anti-dust silicone coating, which protects the item from picking up dust and lint, allowing you to enjoy with peace of mind. Housing a stronger motor than the originals, with 5 vibration strengths and 2 rhythmic patterns to enjoy, these pleasure items still operate with the simple two button control system. With its new waterproof design, you can use Iroha Plus in water and, of course, easily wash the entire item. Kushi is adorned with multiple ribs for dynamic sensations. <br /><br />Note: charges magnetically on dock via USB. Wall adapter included. Product contents: product, charging case, USB cable, wall plug adapter, user manual. Color white. Measurements 3.46 inches in length, 2.40 inches in width. Materials body safe Silicone, PC, Li-ion battery. Continuous running time approximately 60 minutes at full power. Recharging time approximately 120 minutes. You can charge Iroha Plus by simply placing it in its case. Waterproof up to 50cm e or approximately 20 inches. Warranty period one (1) year.